We’d love your help. 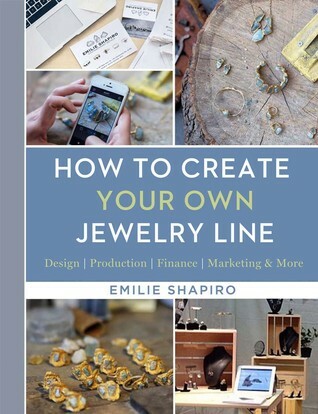 Let us know what’s wrong with this preview of How to Create Your Own Jewelry Line by Emilie Shapiro. To ask other readers questions about How to Create Your Own Jewelry Line, please sign up. Is this book: How to Create Your Own Jewelry Line still available for purchase as of March 13, 2019, its' price, and shipping costs? At the age of seventy- eight, I'm trying to decide if I should try to get back into creating one-of-a-kind pieces of jewelry: sterling/fine silver/karat golds with and without semi-precious stones, beach glass, beads, imported woods, as I did from the early 1960s to early 1990s. Super helpful and insightful. As someone who always had an interest in the jewelry business but never knew how to turn it into a reality, this book was invaluable. Very helpful tips on creating jewerly! This is a beautiful book with wonderful tips and illustrations and a definite asset to anyone who wants to create and market their own line of jewelry.